Salem, OR—Oregon's Senior Health Insurance Benefits Assistance program (SHIBA) staff members and volunteers help consumers understand and enroll in Medicare, but they never make unsolicited phone calls. Anyone who did not contact SHIBA first should refuse to share any personal information and hang up on any unexpected caller claiming to be from SHIBA. Rejecting this type of "cold call" is a smart habit to avoid scams, especially now, as Washington's insurance commissioner has reported calls to consumers in that state from people falsely claiming to be from Washington's SHIBA program. "We help people over the phone all the time," said Lisa Emerson, Oregon SHIBA program manager, "but only when they call us, or when we're returning their call." Oregon SHIBA is part of the Department of Consumer and Business Services, Oregon's largest business regulatory and consumer protection agency. 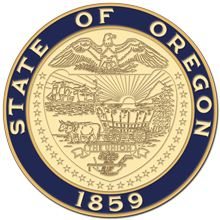 Visit www.dcbs.oregon.gov. Follow DCBS on Twitter: http://twitter.com/OregonDCBS. Receive consumer help and information on insurance, mortgages, investments, workplace safety, and more.